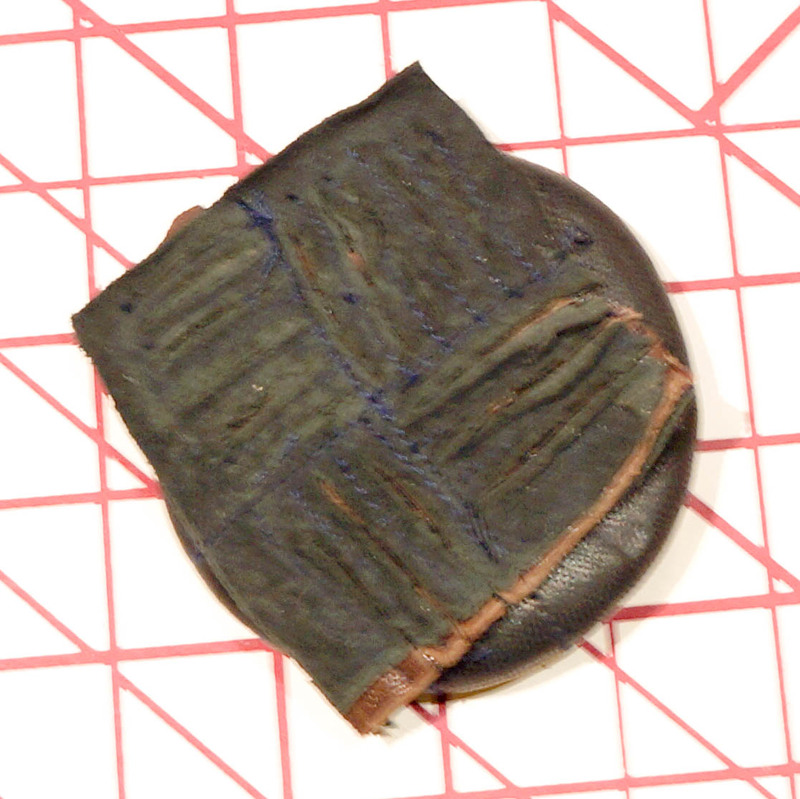 Inspired by the chenille bag I made, I thought I might have a go at chenilling leather to make another button/magnet thing. 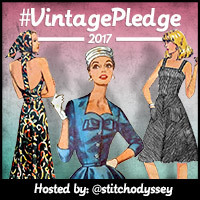 As this was a proof of concept activity (mixing business and pleasure now!) I used the scrappiest bits of leather I could find – an old bag bought in an opshop, so a bit of a stashbust. 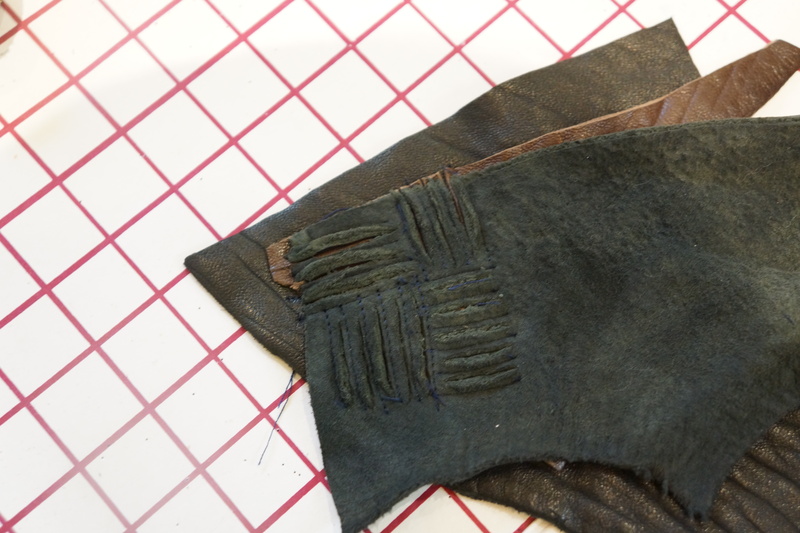 I cut it all up some time ago, so no photo – there were two different leathers, so I used a scrap of each and turned one of them over to introduce a third, as well as a different texture. I didn’t do the weaving required for the bag, instead I simply did the rows of stitching at 90 degrees to each other. 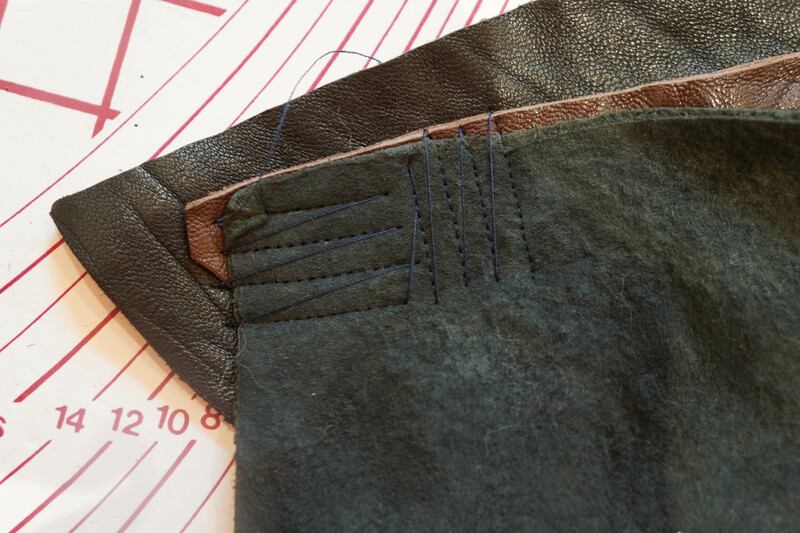 I then cut through all the layers, roughed them up with my fingers and stitched them on to a thin piece of leather. I should have made this a thin piece of fabric because, after I had moulded the leather to the button, I couldn’t get the back on. Doh! I know it’s a PoC, but I like things to work first time. It’s also totally asymmetrical, which I’m pretending was the desired effect, but it’s also a bit… dull! It might be nicer with brighter leathers (cue the donated ones from Thelma), and I think the chenilling worked pretty well, but I might need to sew them on to some fine fabric – not sure how this will work. 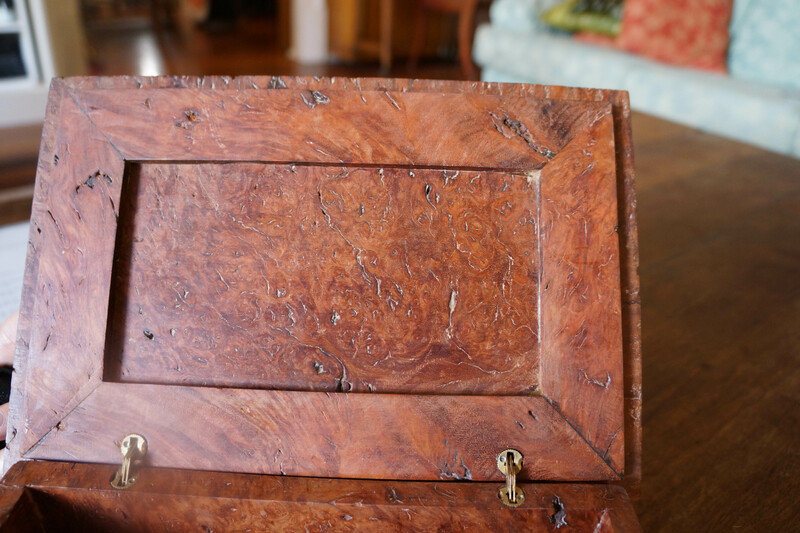 Following up on my post about Archie and his Huon pine box – he did point out that he had already made me a beautiful box from a piece of burled jarrah. And it is magnificent. 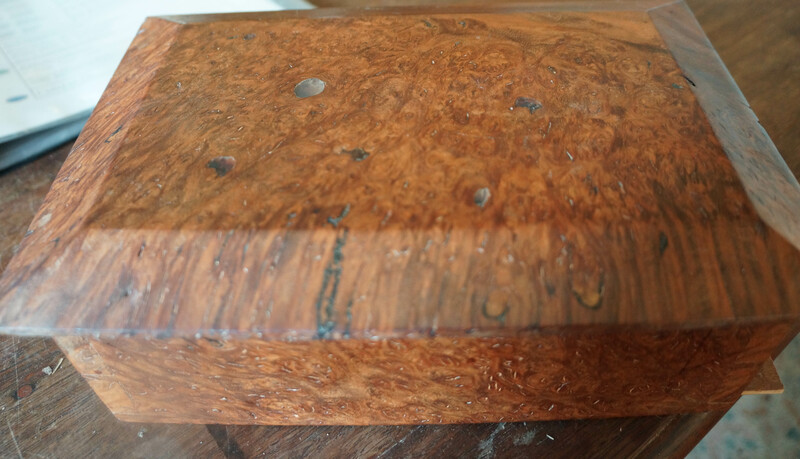 Apparently it is almost impossible to make dovetail joints from burl because of the cracking inherent in the wood. However, he did manage it. 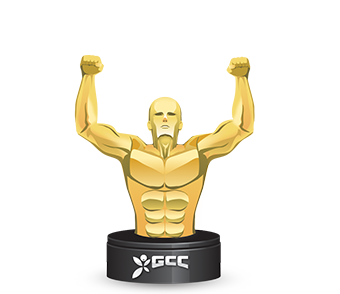 I beat my PB and got another trophy – yay! Next Post Bills or blog?